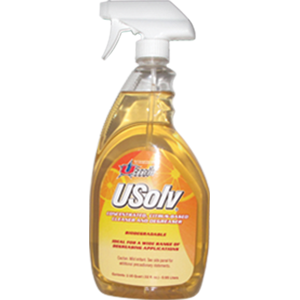 USolv is a powerful, yet natural, extreme duty degreaser designed for concrete floor preparation where areas are stained and oil-saturated. 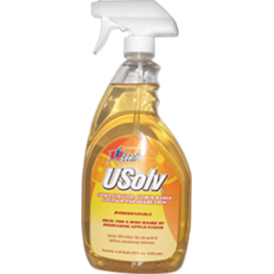 Applied directly to the soiled areas, USolv penetrates and emulsifies the contaminants that would otherwise prevent the bonding of the UCoat It floor coating system. Best of all, even though USolv is powerful, it can be used with confidence around children and pets. 12 1 Qt Bottles. Concentrate. Dilute up to 30:1 for general cleaning. Concentrate. Dilute up to 30:1 for general cleaning.